I thought this might be a nice way to list what people have - it might spark a discussion elsewhere if people haven't heard of something. So here goes. Luckily I moved house recently and all my Beatles books are all in one place; in the old house they were Here, There And Everywhere . Phew - I think that's everything, though I'm sure I've missed some. Not all of these I recommend, though some are truly fantastic. In time I'd like to write articles for most of them for the /books section. As it is, this is pretty much a bibliography for this site, though not all of them have been used (and others have been fairly useless). A lot of the picture books and biogs, for instance, I bought very cheaply when record chains were going out of business. For the future, I'd like to get Recording The Beatles and Peter Doggett's You Never Give Me Your Money . I'm also interested in the Bruce Spizer books, which are said to be very good though AFAIK aren't available in the UK other than by mail order. That's quite a collection you have. There are novelizations of Help ! and AHDN ? I don't know why that surprises me, but it does. I hope to get Anthology next. Are there any books in your collection I should avoid? Sure. I wouldn't bother with Grapefruit, Up Periscope Yellow or The Lennon Prophesy. Fortunately I didn't pay for any of those. I don't rate A Hard Day's Write particularly highly, nor Tony Bramwell's Magical Mystery Tours (I'm reading it at the moment and it's infuriating). I also dislike Philip Norman's books. He's a poor writer, but pretty thorough with his research. The picture books are worth flicking through, but mostly nothing worth seeking out. About half of the Albert Goldman book is made-up junk, but parts of it are fascinating. It's a hatchet job, but worth a look if you can find a copy. The novelisations of AHDN and Help ! were UK paperbacks, published by Pan/Mayflower-Dell respectively, written by John Burke/Al Hine. I've only ever seen the copies I have - I got them secondhand somewhere years ago. Thank you for that. I think it's going to be easier to tell people what not to buy me. I have so many questions about these books, but I'll wait until you do a review of them or someone starts a thread. That Goldman book certainly seems controversial. I'll probably wait on that until I know more in general. Right now, I wouldn't be able to separate the wheat from the shaft. Ah, Skye, we share the same dilemma- premature collections! I'm still working on mine, my mother's quite wary about getting too into buying Beatles merchandise as well as book, "Alissa, it's just a phase!" I'm still waiting for my bank account to catch up to my materialistic needs already- I want In His Own Write and Grapefruit something fierce! Yay! You're back. I think you'll like In His Own Write. It's weird, and some of it I had to read out loud to understand, but it is fun! Peter Brown, "The Love You Make"
Derek Taylor, "It Was 20 Years Ago Today"
Bob Spitz, "The Beatles: The Biography"
Also, dunno if this counts, but I've got a "Special Beatles Issue" of GUITAR LEGENDS magazine which i bought last month. I wasn't aware I had gone anywhere, but happy to be back all the same, Skye! I suppose I feel I don't have much to add to the conversations you lead so eloquently with other people; I think I just usually agree with you! My, am I a fan of the weird and bizarre! That's why I'm so looking forward to both In His Own Write and the Spaniard, plus, any addition to my humble book collection would be great. And the Paul biography was so-so, I was expecting some sort of revelation, like I experienced in Phil Norman's book about John. I thought that in the Paul bio there was some intimate details missing, and those are the best parts! 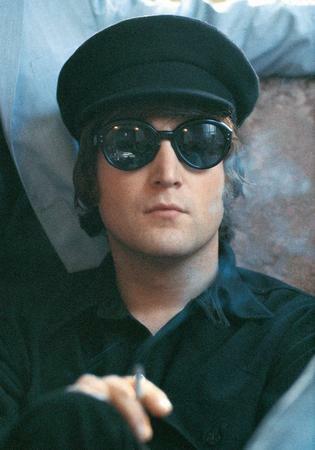 There were though, some conversations that were remembered by spectators or friends of the Beatles that they had shared, and it told of the dynamics in the group, namely the need John had to stay on top of everything. 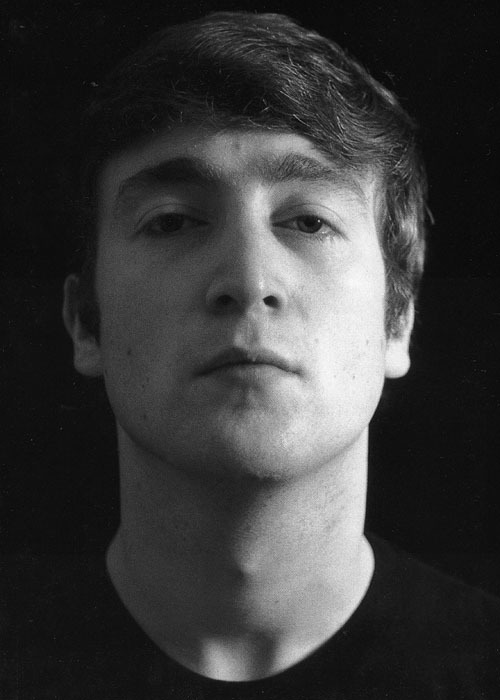 And quite frankly, the book had so much about John. I think it's a slippery slope for any Beatle's author to completely stay away from John's life, and Peter Carlin sort of fell into the hole. He also completely skimmed over Paul's solo music, which I thought should have been analyzed more in depth. Because if it is, it's very rare indeed. It was part of the original Let It Be box in the UK, which sold poorly as it cost a pound more than a conventional album. The book was bound badly too, and the pages fall out quite easily. I've got a copy - I was browsing in a second-hand record stall in my local market and saw a Let It Be box set. I gulped, asked how much it was, and the man shrugged and said £25. It's worth about £150 in mint condition, though mine's not. The book is fine but the box is pretty knackered. Still, well worth the money, and another book that I forgot I had! vonbontee - Wow. That Sgt. Pepper book/movie. Is that the Star Wars Christmas Special of the Beatles' world, or what? I'd be torn between burning it or keeping it as a warning to future generations. Paul, as far as I know, is unlikely to do an autobiography. Many Years From Now by Barry Miles was an authorised biog, with extensive contributions and quotations from McCartney. I'd imagine he doesn't have much more to add to what's in there. If you haven't got Many Years From Now, I thoroughly recommend it. It's one of the best Beatles books available, though inevitably one-sided. Skye - you should get it along with Anthology as soon as you're able. Thanks for the recommendation. It looks like I can get a copy for pretty cheap. Now I just need to make time to read all of these books. Ooh, yes, that is the one! Now I feel important, knowing it's rarity! 😀 Alas, the condition is verging on unreadable. My mum picked it up for me for 3$ at a garage sale, though something spilled all over it, the pages were stuck together and I took a precious hour and a half to pry them apart. I somewhat succeeded, though some bits of dialoque have been ripped. Nevertheless, I now thank my lucky stars and my thrifty mum who decided to buy a cheap book for me! I'm not back to school just yet, a few more precious days until the inevitable return. I've got this (in the loft somewhere - I really must find it). I paid about £30 for it back in the early nineties. It was in pretty good nick BUT the only problem (and it's a known one) is that the glue that sticks the pages together is crap! As you turn pages they literally come out of the book. Alissa - glad I could help! I think the Get Back book probably isn't a massive rarity, though it's unusual to see one. After all, the Let It Be album sold quite a bit in its first six months. It's really the condition that makes it rare - mint ones are very sought after. As for George biogs, I don't really know. I read I Me Mine years ago and found it disappointing - it was quite badly written and could have done with a decent editor. The best thing about it IIRC was the reproductions of the handwritten lyrics of the Beatles songs. I know Lennon hated it as he barely got a mention. I'm sure there are better George books out there but I haven't got round to investigating them... yet. Well don't get these - 'Behind Sad Eyes: The Life of George Harrison ' by Marc Shapiro - or this - 'George Harrison , Second Edition' by Adam Clayson - as there are slated on Amazon! I think that as George's life has been so well documented as a Beatle, to find one written particularly about him (and to include his solo years) might be hard to find. Unless something is authorised by either Olivia or Dhani we'll probably only get inaccurate gossip. Olivia did write the foreward to the Rolling Stone tribute (Harrison - Editors of Rolling Stone) but that was more a tribute than a biography. Being only a recent Beatles fan, I don't own any books (:P), but I have borrowed Meet the Beatles by Steven D. Stark from the local library. A recent Beatles fan - oh lucky you! You've so much to explore. Hopefully you'll find the song/album guides useful in finding out more. KaabiStar said:Being only a recent Beatles fan, I don't own any books (:P), but I have borrowed Meet the Beatles by Steven D. Stark from the local library. I find that great KaabiStar! To think there was someone out there who never took much notice and then BANG, they got on the bandwagon. You don't need to become addicted BUT I'm sure you have many hours of fun ahead as you discover all about their music and lives. It is one hell of a journey - enjoy. Being that I gave up me bachelor pad and moved in with my fiance', I only have the most important books with me....others are in storage.